More information: The acclaimed 2016 summer hit album from the UK Art Rock stars. the band’s first record to feature the King Crimson / Porcupine Tree drummer Gavin Harrison. 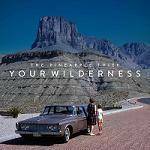 This is the 180g vinyl non-gatefold cover reissue of The Pineapple Thief's 2016 album Your Wilderness. The Pineapple Thief reissue their breakthrough 2016 album ‘Your Wilderness’ on 180g vinyl ahead of their second headline Europe & UK tour in February / March and following the new heights reached with their 2018 album ‘Dissolution’. Their efforts on ‘Dissolution’ earned them their highest UK album chart entry to date at #36 and also #1 in Rock and Metal, as well as reaching #22 in the German album chart, #4 in the Netherlands Platomania album chart and #14 in the Finland album chart. They also embarked on an ambitious 16-date headline Europe and UK tour in September / October culminating at their biggest ever show at a packed London’s O2 Shepherd’s Bush Empire. This success was in part due to the groundwork laid by ‘Your Wilderness’, which has so far produced 4 million+album streams and a collection of fan-favourite songs, including “In Exile”, “Tear You Up” and “The Final Thing On My Mind”. For the first time, TPT brought in several guest performers for ‘Your Wilderness’, alongside Gavin Harrison: a four-piece choir, Geoffrey Richardson (Caravan), who arranged and recorded string sections, Darran Charles (Godsticks) contributed additional electric guitar work, and Supertramp’s John Helliwell performed some beautiful clarinet parts that bring the album to a poignant close. Featuring conceptually sympathetic Carl Glover artwork, lyrically ‘Your Wilderness’ follows the journey of a parent and child through love, estrangement and reconciliation as their lives unfold. 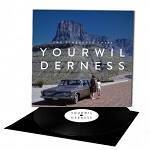 This edition of ‘Your Wilderness’ is presented on heavyweight 180g vinyl in single sleeve packaging.